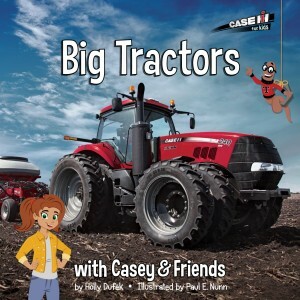 Big Tractors with Casey & Friends: Written by Holly Dufek, Illustrated by Paul E. Nunn Giveaway Opportunity! 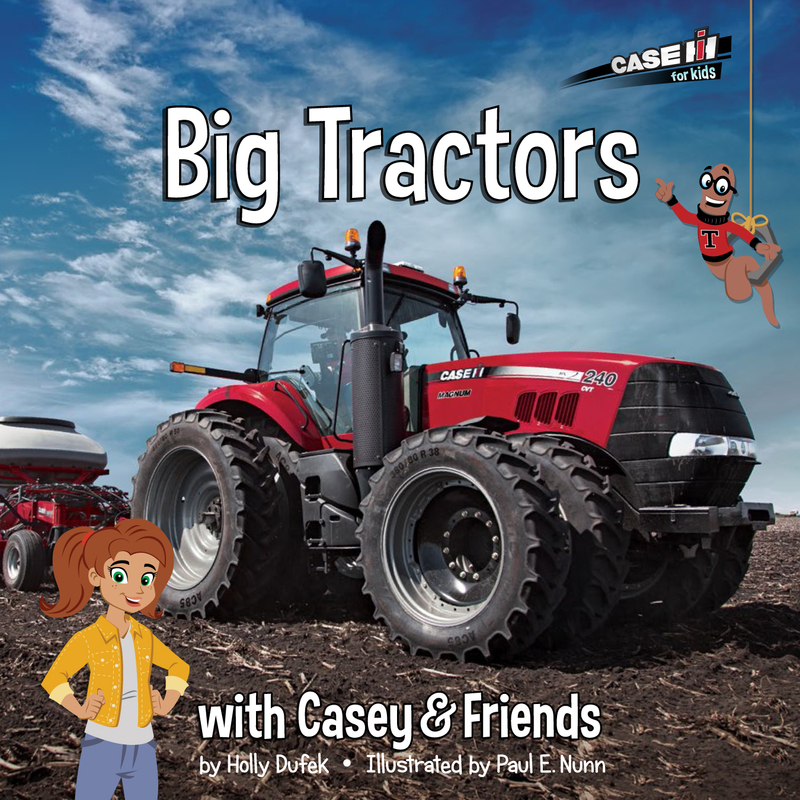 Big Tractors with Casey & Friends Written by Holly Dufek, Illustrated by Paul E. Nunn Giveaway Opportunity! There’s a new series for kids obsessed with tractors. “Casey & Friends” books offer a glimpse into farm life and the machines of modern agriculture. 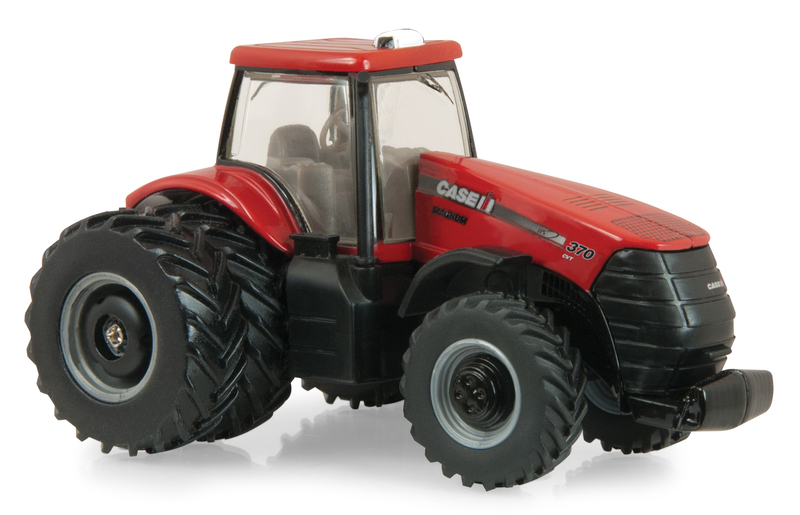 Young tractor fans (ages 4-8) love the use of real photos that show iconic red CASE IH tractors and other farm equipment in action. A cast of cartoon characters explain how they work. Parents appreciate all the added learning possibilities found in the sidebars, picture glossaries and fun farming facts. The author is seasoned educator and national curriculum writer Holly Dufek. She joins Pixar “Cars” artist Paul Nunn to help kids make the connection with the farm equipment they see in the countryside and the food on their table. I received a book titled Big Tractors with Casey & Friends. This one shows how the biggest, most powerful tractors handle the demanding jobs of pulling and powering on the farm. Find out how Big Red and Sammy – the biggest tractors on the farm – use their powerful muscles to work in the field with the rest of the team. Learn about the science of farming and discover how advanced technology makes Big Red and Sammy special. I think young children will love learning about the tractors and they will love the illustrations that make the story and characters come to life! I also received a CASE IH toy tractor. Single front & rear duals, detailed interior, free rolling wheels | MSRP $8.50. Recommended for ages 3+. Little boys and girls will also love this fun toy! We have teamed up for a Giveaway! Leave a comment below telling us why you think your child would love to win this book and toy! Deadline to enter is May 15th, 2015 at noon PST. U.S. entries only please. One winner will randomly be selected via Random.org. Self Disclosure: I received a free book and toy to facilitate this feature/giveaway. No other compensation was received. My son loves toy vehicles and I would love to have a new book to read to him. Sounds like a fun book! I would love to win for my nephew. I would love to win this for my nephew as well. What a cute gift this would make. Oh Carter is so into tractors right now. They are so busy planting and plowing, we have been packing a lunch and driving to the fields and have a picnic in the car and watch them! He loves it! He would love to have a book for us to read at bedtime about them!